Corrosion is a general term describing the degradation of pool equipment and surfaces, due to the reaction of unbalanced swimming pool water with these surfaces. What is Corrosion in swimming pools? Corrosion is generally described as the degradation of a solid material, usually due to the introduction of another substance chemically interacting with the corroding material. How slow or fast corrosion happens depends on the materials involved, as some corrosion can happen over dozens of years, and others can happen in seconds. Metals are most commonly associated with corrosion, as the visible signature of corrosion is often very apparent. Corrosion will discolor surfaces, degrade underlying material, and even perforate through the material causing severe structural and material damage. Rust on a metal surface is a common example of metallic corrosion, and is typical of the process of electrochemical oxidation with oxygen, resulting an oxide being produces, as oxygen has combined with the surface metal molecules to create a new material. 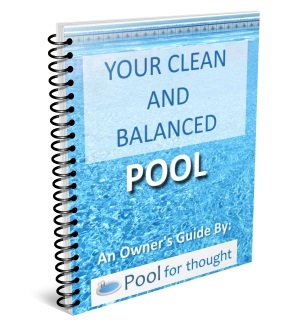 Avoiding corrosion in swimming pools is a primary concern for pool owners. Pool equipment such as internal heater parts, pipes, screws, mounting brackets, ladders, handrails, and any other metal surface that comes in contact with the pool water can potentially be corroded. Corrosive pool water can also cause pitting or delaminating in concrete, stone tile, decorative rocks, plaster, and any masonry surfaces. This corrosion is often dissolved in the pool water, can eventually stain pool walls, and is very difficult to remove. 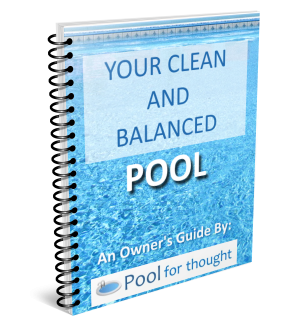 Keeping swimming pool water balanced is the primary way to prevent corrosion.